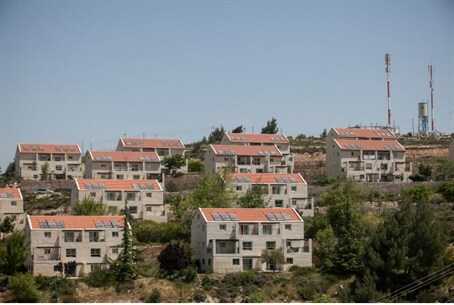 The state's request for 90 days in which to find a way to legalize several homes in Beit El's Ulpana neighborhood has been rejected. The Supreme Court on Monday unanimously rejected the state's petition to postpone the destruction of five buildings in Beit El's Ulpana neighborhood until July 1. Ten days ago, the Attorney General asked for a three-month extension in order for the government to find a way to legalize the buildings. The judges wrote, "The state's argument that the situation is exceptional and unique, and demands more time to find remedies requiring more discussion, is baseless." They also noted that the court had a vested interest in maintaining the principle of finality in its decisions, which the state is liable to adhere to, in order to maintain the orderly work of the courts. "Will the state ask us to review our decisions every time it alters its policies? Are we establishing an open-ended process of judgment?" They asked, rhetorically. "Indeed, a policy change is not grounds to deviate from a final judgment from this court," they wrote. "As noted above, the basis for reopening legal proceedings does not exist without exceptional and extraordinary circumstances." "Such circumstances were not presented in this case, even if it raises significant and difficult social policy questions for the public," they concluded. MK Uri Ariel (National Union) responded sharply, saying, "It is now clear to all that the Prime Minister is not a staunch defender of settlements. He created a snare for the right by arguing her could normalize the settlements without passing a law." "We demand the prime minister to bring the law before the Knesset dissolves itself to change the situation," he said. As they have in the past, the Supreme Court justices on Sunday declined to wait for a decision by the Magistrate’s court over whether the land the threatened structures were build on was legally purchased. The buildings in question were built on land purchased by Beit El years ago. However, the seller's claim to ownership was contested by an Arab of the same name and the latter filed suit to get his land back. The Supreme Court ruling came before the lower court's decision on the land, which is still pending, and government agreed, without argument, to destroy the houses. One year later, the government's legal office came to see the area and realized that the buildings in question were permanent, apartment blocks, built in good faith by people who thought they had legal ownership, and that the legal office should have asked the courts to allow them to try and find a way to solve the ownership problem before the court issued a ruling. The three judges, Chief Justice Gronis, Judge Salim Jubran and Judge Uzi Fogelman now assailed the state for seeking to delve into the evidentiary question of ownership when they had already issued a ruling. Judge Salim Jubran said, "I do not understand where there is a valid exception in your request. How does this pertain to the rule of law?" Judge Uzi Fogelman said, "there is a judgment and we expect the Prime Minister and Minister of Defense and Attorney General to carry it out." However, in the absence of a clear separation of powers in Israel's Basic Laws – including those of the court itself – the extent of that power remains deeply connected to the personality and politics of the sitting justices. Some legal scholars charge the Supreme Court with a narrow ideological composition not representative of Israel's popular plurality and that this means they could effectively act as a self-appointed oligarchy and weild a veto on Israel's representative democracy.